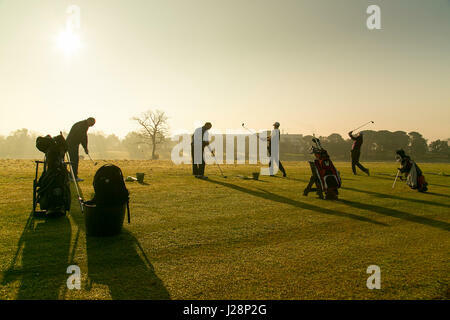 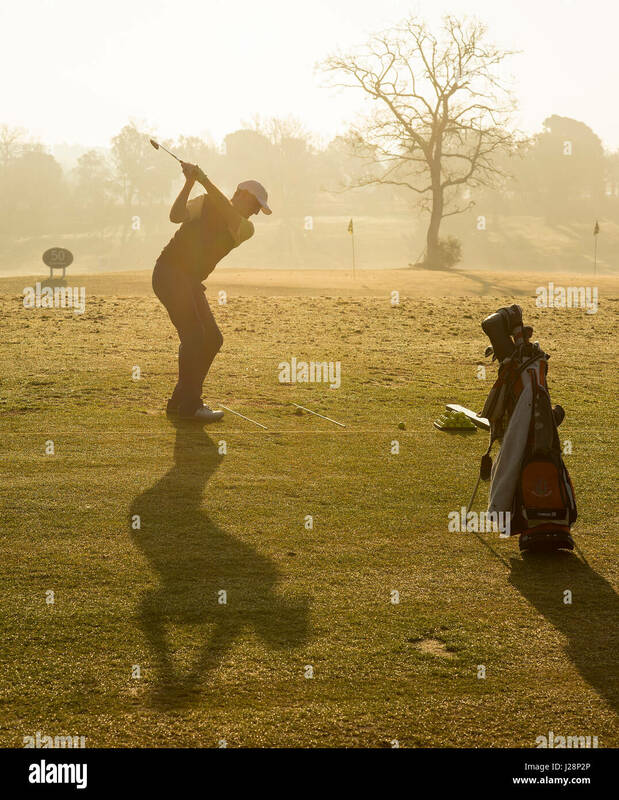 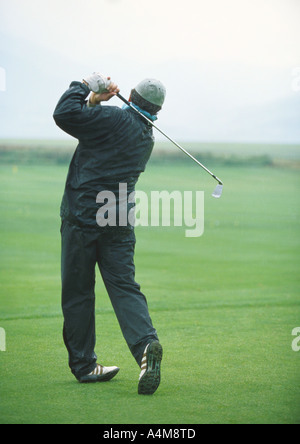 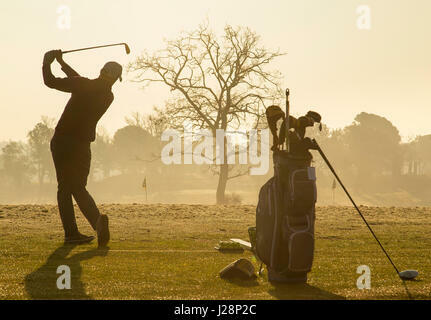 Golfers swinging golf clubs in early morning sun on practice driving range at dawn. 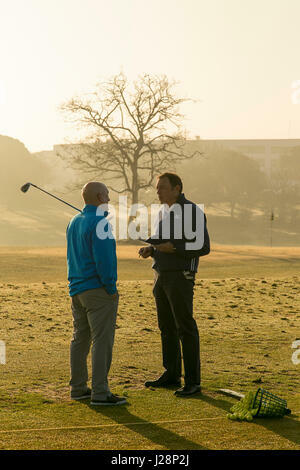 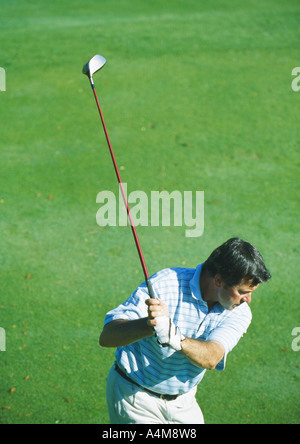 Golf Pro giving lessons on the range at PGA Catalunya in Spain. 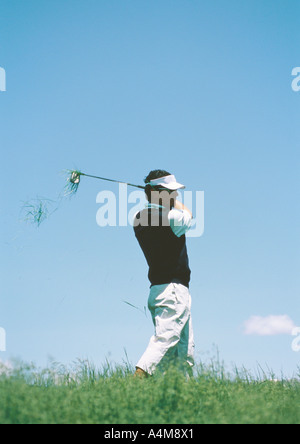 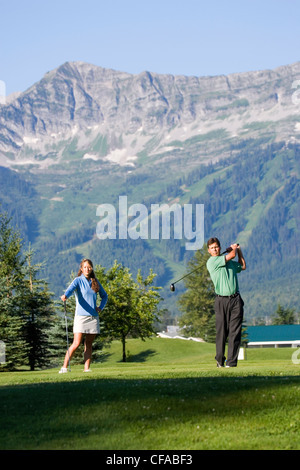 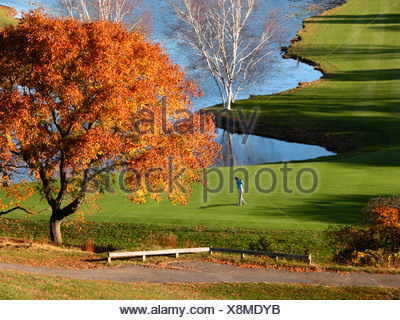 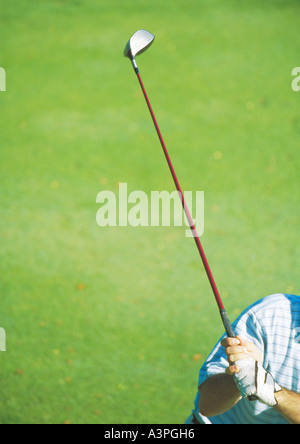 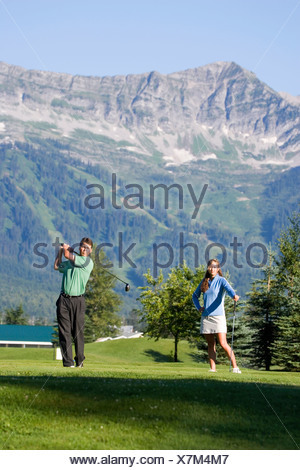 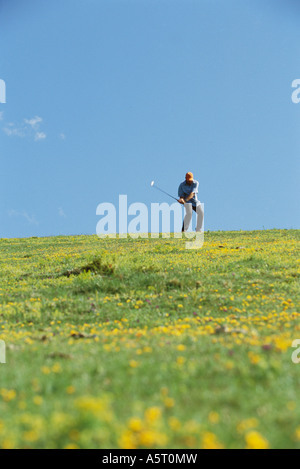 Young couple play golf at Fernie Golf and Country Club, Fernie, British Columbia, Canada.